1. 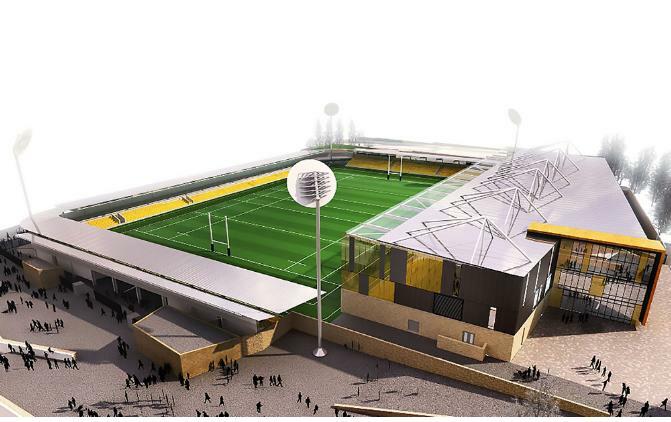 That the request for funding support from three of the four partners now leading the delivery of Phase 1 of the Stadium for Cornwall project, Truro and Penwith College, Cornish Pirates and Truro City Football Club, (Greenwich Leisure Limited (GLL) being the fourth partner) attached at Appendix 1, was noted. 2. That Cornwall Council approved the principle of providing match funding of up to £3m to the partners, to construct Phase 1 of the Stadium for Cornwall project, subject to the conditions set out in Appendix 2 of this report. 3. That the Strategic Director for Economic Growth and Development, in consultation with the Monitoring Officer, the Section 151 Officer, the Leader, and the Cabinet Member for Planning and Economy, was delegated authority to prepare and submit a business case to central government for funding of up to £3m for Phase 1 of the Stadium for Cornwall project. 5. That the Council retain the freehold interest in remaining land not required for the operation of the stadium, as shown in Appendix 3 of this report. 6. That the responsibility for developing and delivering the Community Outreach Programme for the Stadium for Cornwall be given to the social enterprise company, Greenwich Leisure Limited (GLL), and that the Strategic Director for Economic Growth and Development, in consultation with the Monitoring Officer, the Section 151 Officer, the Service Director for Wellbeing and Public Health, the Leader, and the Cabinet Member for Planning and Economy, was authorised to amend the Council’s existing contract with GLL to incorporate this requirement. That up to £3m of unallocated funding from the Economic Development Match Funding budget be used to provide match funding to construct Phase 1 of the Stadium for Cornwall project and that the Council’s Capital Programme be amended accordingly. At the Full Council meeting on 17 April, after a very long debate and with approximately 50 councillors speaking to the proposal, the Council supported the proposal by 69 votes for and 41 against and 7 abstentions. The following day, some of the Stadium partners and officers from the Council met MPs and government ministers in London to discuss the request for government funding. They received a generally favourable response but now a full business case will need to be put to government and to Sport England before a final decision is made. This may take a few months.